September 2008 - PTC, The Product Development Company®, today announced that German-based Lumberg Group, has optimized its product development process with CoCreate, PTC’s direct modeling and data management software that provides companies with a lightweight and flexible approach to designing products. Lumberg uses CoCreate Modeling™ and CoCreate Model Manager™ for parallel development of its customized products and manufacturing technology. Lumberg is supported by PTC partner ASCAD for all CAD/PDM engineering services. Lumberg Group operates numerous development and manufacturing locations in Europe, America and Asia, as well as a worldwide sales network for its individual and flexible customer solutions. 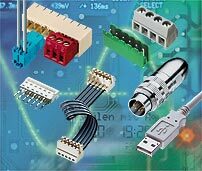 Connector systems and components comprise the core of its wide array of products for the automotive, photovoltaic, telecommunication and appliance industries. To meet the extremely short development cycles typical in these industries today, Lumberg required a development solution that supported parallel design of its products and manufacturing technology. As soon as the first new product concept is realized in 3D, development of the production technology begins. Using CoCreate provides the design team with flexibility to respond to unforeseen changes up until the last minute of the design process.